Video: What Type of Content Will Drive Growth in Live Streaming? Watch the full panel discussion from Live Streaming Summit, Live Streaming Today & Tomorrow, on the Streaming Media Conference Video Portal. John Petrocelli: We'll see a massive growth in music. I saw an article last week. Only 59% of the country identifies as sports fans, but 91% of the country listens to 24 hours of music in a given week, given how ubiquitous and available it is. I think Live Nation's earnings call was just yesterday or the day before--record consumption of tickets and people attending experiences. There's a massive opening to deliver concerts, performances, and festivals to fans. You’ve got genres of music now that are globally popular. Electronic music has largely become propped up across digital platforms. Just in this past year, Esperanza Spalding did a 77-hour continuous livestream of her creating a record. Katy Perry did a 96-hour continuous livestream of promotion around her life as she launched her record, and subsequently a tour. I think fashion is a big, interesting market as well. The whole food vertical has hyper-exploded the ability to tune in and watch chefs or people preparing meals, interacting with the audience. Huge potential growth there, again, the driver being engagement time. With live video we've seen concerts where people tune in for 25 consecutive minutes on an average. Music festivals, 30, 40, 65 minutes of continuous engagement time. If I'm a brand, a marketer, or I'm a platform, that's unattainable in any other form of engagement with a fan. They'll tell us, "We're lucky to get 3-5 seconds of someone's attention." So, you've got an experience economy as well as an attention economy kind of coming together. Live video executed properly versus throwing up surveillance video, I think people will discover the video, but if you optimize it, now it's higher quality, and people can have a curated social discussion. They can answer polling or trivia. They can post a photo. Now you've turned somebody from a viewer into a participant. I think those kind of genres offering their live content but also executing it properly creates a pretty big business opportunity. Video: How Do You Translate the Lessons of Live TV to Smartphones and Connected Devices? 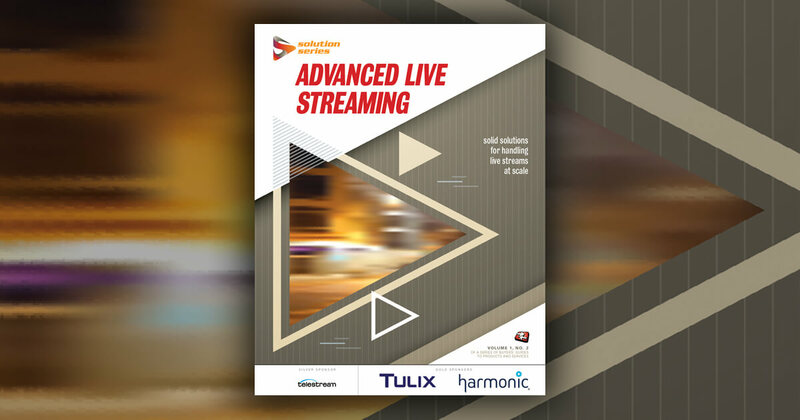 John Petrocelli explores the challenges of delivering a large-scale live event like Coachella to an audience looking for live interactivity and active engagement using an infrastructure built for on-demand viewing. Video: Will TV Broadcasters Follow Radio in Live Streaming More Content? NAB's Skip Pizzi discusses the licensing, commercial, and strategic impediments to broadcasts networks adding full-time streaming of all content as most radio stations have done, and how that trajectory might change.